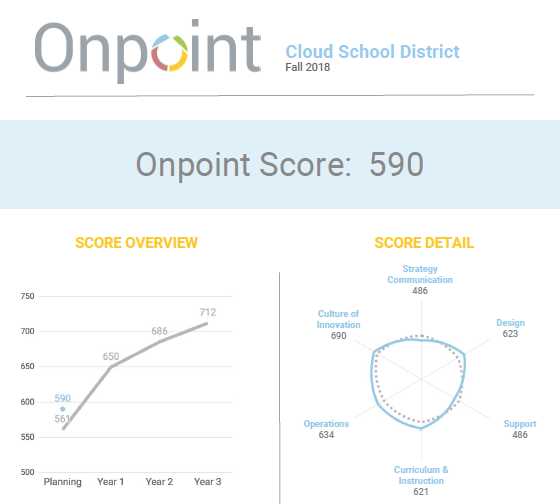 Track the progress of your personalized learning implementation by requesting your district's Onpoint report. 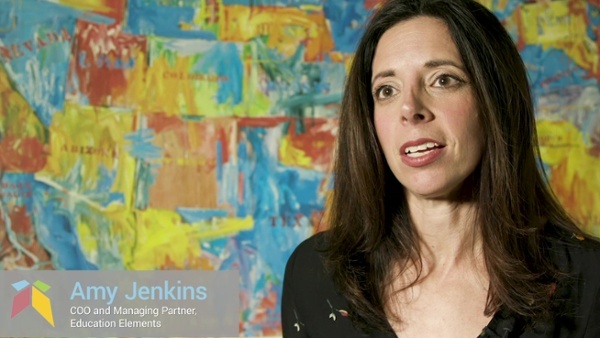 Why should every district leader care about Onpoint? The shift to personalized learning can be challenging, with ups and downs along the way. No matter how successful you are as a district, you likely have questions like "Are we doing this right?" "How do we compare to other districts?" and "How do we know if we are spending resources and time in the right areas?" Why Trust an Education Elements Benchmark? Our team of former educators and administrators works side-by-side with districts to personalize learning. For 8 years, we have been working with districts to build and support dynamic school systems that meet the needs of every learner, today and tomorrow. We take the time to understand the unique challenges school leaders face, and then customize our approach for each district resulting in better student outcomes. Since 2010, we’ve worked with more than 40,000 teachers, 750 schools, and 140 districts across the nation to redesign learning for 630,000 students, through personalized learning (Check out our most recent Annual Report 2017-2018, as well as our 2016-2017 Personalized Learning Impact Report) and Onpoint is the result of this experience. Connect with us to learn more about Onpoint.